Ford Galaxy 2.0 EcoBlue 150 Zetec 5dr 2019 Review | What Car? What Car? will save you at least £4,138, but our approved dealers could save you even more. 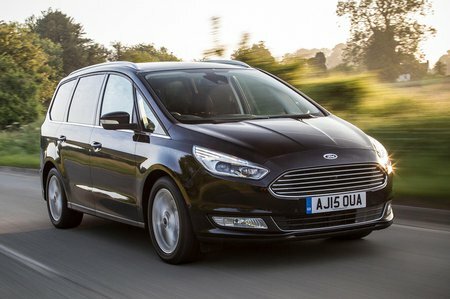 The Ford Galaxy is a brilliant large MPV that doesn't impose any compromises. With a huge boot and seven seats, It fulfils the same practical role as rivals such as the Volkswagen Sharan but is much more composed on the road. We recommend the 187bhp diesel engine for its power and very competitive CO2 and fuel economy figures. For the ultimate in family transportation, the Galaxy is a very solid choice. This mid-powered diesel engine offers a great blend of performance, economy and value for money. It has enough shove to manage long trips with a fully loaded car, and it’s running costs are competitive. It’s the only option available with a manual or automatic transmission, and gets all-wheel drive.